Yoo Hoo, It's me! I'm here.... my doesn't time fly, it seems like only yesterday I was posting about RUBY.... but it wasn't yesterday or anything like it... it was many many months ago. Shameful I know. I really don't know where the time goes, guess I've done what I always do and thought TOMORROW. ie: tomorrow I'll write my blog, update my website and do all the other writerly stuff that seems so much more nowadays. Facebook, Twitter, Goodreads, Bernardine Kennedy, Marie Maxwell.... aarrrggghhh. But amid all that I have managed to write another book so there's a bit of a result! 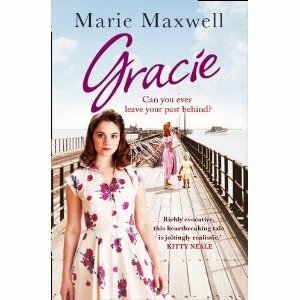 GRACIE is set for publication on April 25th. Gracie was a character in RUBY and this book is about her although RUBY still features in it because the two lives are so entwined. The next one will be MAGGIE, the story of Ruby's illegitimate daughter who was adopted at birth. So... there you have it, a potted year of writing and doing not a lot else!